MONDAY, Jan. 18, 2016 (HealthDay News) -- Ticks that transmit Lyme disease are now found in nearly half of all counties in the United States, a much broader swath than was seen in the late 1990s, researchers report. The findings show "that the distribution of Lyme disease vectors has changed substantially over the last nearly two decades and highlights areas where risk for human exposure to ticks has changed during that time," said study author Dr. Rebecca Eisen, a research biologist at the U.S. Centers for Disease Control and Prevention. 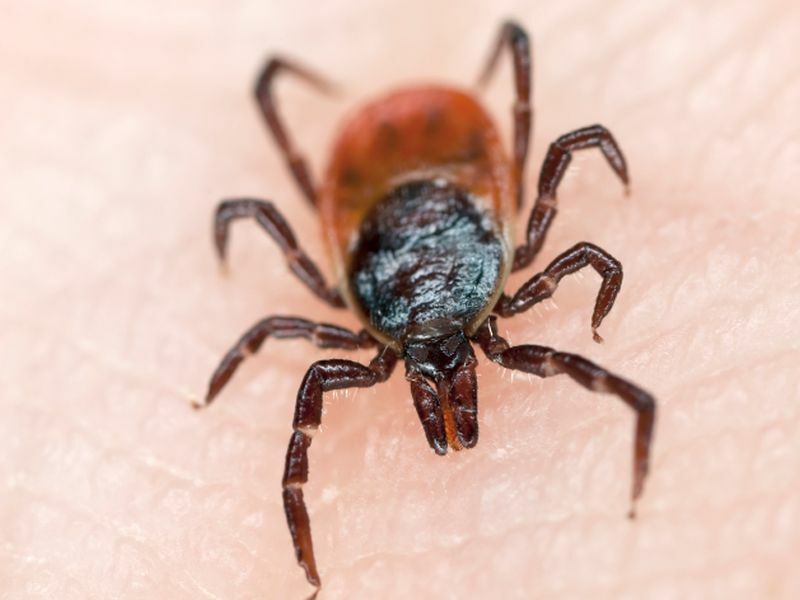 Lyme disease -- transmitted by black-legged and western black-legged ticks often called deer ticks -- can cause symptoms such as fever, headache and fatigue. It is often mistaken for the flu. Knowing where these ticks are found can help doctors make a correct diagnosis of Lyme disease, experts said. Researchers analyzed available data and found black-legged ticks reported in more than 45 percent of U.S. counties, compared with 30 percent of counties in 1998. They also found that the black-legged tick is now considered established in twice as many counties as in 1998. Most of the ticks' expansion in range has occurred in the northern United States. Its distribution in southern states has remained fairly stable, with the range of the western black-legged tick only increasing to 3.6 percent of counties from 3.4 percent in 1998, the study found. The findings were published Jan. 18 in the Journal of Medical Entomology. "The observed range expansion of the ticks highlights a need for continuing and enhancing vector surveillance efforts, particularly along the leading edges of range expansion," Eisen said in a journal news release.